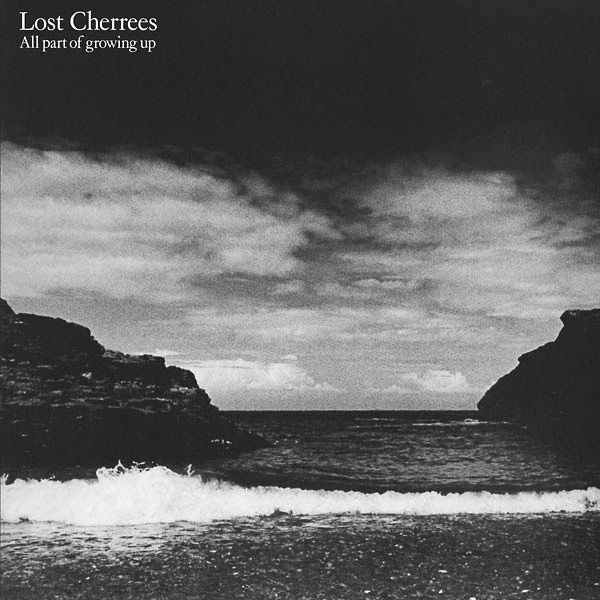 Beat Generation presents the first ever official reissue of British anarcho-punk band the Lost Cherrees' 1985 debut album All part of growing up. The Lost Cherrees were formed in 1979 by Steve Battershill, Dave Greaves, and Siân Jeffreys. After some rehearsals, they recorded and released a six-track demo tape called "The worst demo ever recorded," a split with the band Warning. They played some gigs, and then Dave Greaves left the band and Andy Rolfe took his place as guitarist; Battershill switched to bass and a new drummer, Nuts, joined the band as well. This lineup recorded a second demo in 1982, with some tracks also included on a split release with Subhumans. In 1983 the band started to play lots of gigs and began working with Dave Floyd and Riot/Clone, and out of this relationship came their first offer for a proper release. The 7" No Fighting, No War, No Trouble, No More was released in late 1983, and John Peel gave the record frequent airtime. The band played gigs with the likes of Conflict and Subhumans all over England and recorded a second 7", A Man's Duty, A Woman's Place, which was released on Colin Jerwood's label Mortarhate Records in 1984. During this time, Lost Cherrees played gigs with Rudimentary Peni, Flux of Pink Indians, Dirt, Icons of Filth, Partisans, Rubella Ballet and many others. One of these gigs ended in a riot, and the Special Patrol Group was called in -- the incident was reported in the next day's national press. In this period Gail Thibert joined the band on keyboards and Beverly Cook-Abbott joined as a second vocalist, rounding out a seven-person lineup with which the band played lots of gigs. In 1984, the Lost Cherrees entered Ariwa Studio in Brixton to record a 16-track album engineered by the legendary Mad Professor and Patrick Donegan. All part of growing up, the band's first album, was released on Fight Back Records (through Conflict and Mortarhate) in 1985. Sometime between its recording and release, Jeffreys left to join Joseph Porter's Blyth Power collective. All part of growing up is a classic album on which the band explode their anarcho-punk with some post-punk and reggae moments, highly influenced by Mad Professor and The Ruts. Pressed on 180-gram vinyl; features replica cover art and insert. Limited to 500 copies.